Enzyme and silicone washed. Fitted style. Narrow ribbed collar with Lycra®. Side seams. Twin needle .. Relaxed shape. Ribbed scoop neck. Drop shoulder style. 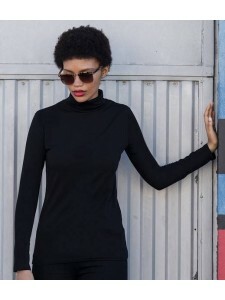 2x1 ribbed knit sleeves. Curved twin needle h.. Loose fit. Single needle stitched scoop neckline. Ribbed collar. Taped neck. Side seams. Self fabric..
Self fabric scoop neck. Elastane reinforced dropped shoulder seams. Flatlock stitched shoulders, sid..
Fitted style. Contrast ribbed collar with Lycra®. Contrast raglan sleeves. Side seams. Cuffed sleeve.. Single jersey. Easy care fabric. Soft and stretchy. Three button placket. 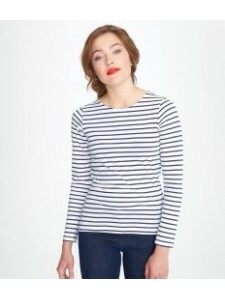 Roll-up sleeves with butto.. Wide self fabric bound neckline. Fitted contoured silhouette with side seams. Twin needle sleeves an.. Single jersey. Stretch fabric for a modern fit. Enzyme wash. Soft feel. Fitted style with shaped sid..
Fitted style. 1x1 baby ribbed knit. Self fabric bound collar. Contrast raglan sleeves. Twin needle s..
Ladies fit. Self fabric collar. Taped neck. Shaped side seams. Longer body length. Twin needle sleev..
Soft touch. Girlie fit. Ribbed collar. Taped neck. Side seams. Twin needle stitching. Unbranded size.. Slim fit. Shoulder to shoulder taping. Side seams. Removable adhesive neck label. Designed for a ran..